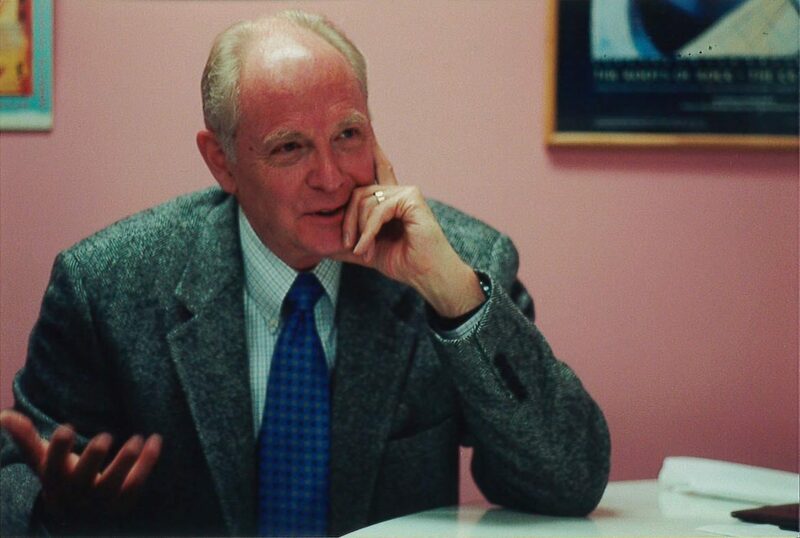 William H. Siemering is one of public broadcasting’s great starters. He signed NPR’s founding papers and became its first program director. He was there at the creation of All Things Considered 30 years ago this month, and of Fresh Air and Soundprint. In 1970 he drafted the “National Public Radio Purposes” memo that summarized what the network and its flagship program were to become. At 58, he began working overseas. Now, as an emissary of George Soros’ Open Society Institute, he is helping younger broadcasters make their own starts in the highly uncertain realms of Africa, Eastern Europe and Asia. Siemering talked with Current Associate Editor Mike Janssen and Editor Steve Behrens. This is an edited transcript. Current: One of your famous babies, All Things Considered, is very near the ripe age of 30 years, now perhaps entering middle age. As a founding father, what do you think of ATC as you look at its origins and how it has grown up? The idea of integrating arts and culture with news, of using sound to help tell stories, of providing background and context for things in a conversational style — those are all things that are now part of the program and have been from the beginning. Jack Mitchell was the first producer of ATC, and he deserves more credit for shaping the program. Cleve Mathews was the first news director and came from the New York Times. There’s always been this tension between the idea of produced features versus the hard-news coverage — probably a healthy kind of tension. I’ve always felt there’s an opportunity to do more produced pieces. I think the listeners always respond to those pieces very well — Lost and Found Sound, for example, and Youth Radio features and David Isay’s pieces all have elicited a very strong listener response. So I would think that might encourage NPR to do more of those in the future. It’s a matter of fine-tuning. How much did you feel that tension early on? In the beginning, we were really not political radicals. But we were radicals for the medium of radio, and producers were really excited about being able to use sound to tell stories and to get out of the studio. Everybody can participate in [radio]. They don’t have to be able to write an eloquent sentence or a good letter to the editor. They can just speak. The tension has gotten more marked as the years have gone by. We were trying to do what the commercial stations were not doing, and they were doing news on the hour without any sound, for the most part. Sound is just a way of telling a story more effectively. As we used to say with Soundprint, it’s “photojournalism for the ear,” and the idea is to bring stories to life, and to get out of the studio, so it’s not so sterile. In Brill’s Content magazine, Ben Yagoda compared the NPR news programs to the New Yorker in its heyday. He said NPR’s listeners identify with the network, the way New Yorker readers used to with the magazine. What did you think of that comparison? I liked that. It is a good comparison because the New Yorker has investigative pieces, humor, fiction and poetry, all in one magazine, and it’s very comfortable being all those things. As that article pointed out, both really elicit this strong loyalty. When I was managing stations and would go to a grocery store or wherever, people would come up to me and talk about how important the station was. Radio is an extraordinarily personal medium. It’s an imaginative medium because people create the pictures in their minds. And it’s the most democratic — everybody can participate in it. They don’t have to be able to write an eloquent sentence or a good letter to the editor. They can just speak. That’s why I love the medium of radio so much, and that’s why I like to see its potential stretched as far as it can go. NPR’s audience has grown a lot recently, but research suggests it’s still a very narrow demographic slice of generally well-educated people. What’s the possibility that public radio can reach entirely different groups? It was educational radio before we started. We wanted to break away from that and broaden the audience. That’s why you make the programming as exciting and interesting as you can, with the best reporting and the best writing and production — so that it does embrace a large audience. That was one of the reasons behind the well-known phrase, “NPR will speak with many voices and many dialects.” I thought if people heard their own voices, they would listen. It’s a naive assumption, but there’s some validity to it. But you have to do that with some consistency. When I was at WBFO in Buffalo, we had established a storefront broadcast center in a black community. I was interested in the challenge of trying to reach a black urban audience with a university station, and I think we did quite well. We originated 25 hours a week from that storefront studio, essentially the whole weekend. You’ve got a block of time, and people can identify with it. We published our program guide in the black weekly newspaper and sent it to our subscribers as well. Some of the [non–African American audience] said it was like eavesdropping on another culture, which is fine. And we had a black arts festival with live jazz, and people brought in their photos and paintings, and we had poetry — all from this storefront center. Did you bring in more African American listeners? We did. I don’t trust the audience figures much, but at the time there was an indication that we were the most listened-to station for the black community during those times, and there were two black commercial stations, I think. We were the first station in town to play Roberta Flack. We were doing the same kind of thing for the black community that we did with our general audience — mirroring cultural values, celebrating music and providing information that’s important to the people. But, getting to your point, where you have multiple stations in the same market, people could start carving off some time to bring those same values to specific minorities that are significant in the city. All Things Considered and NPR by now have set an example for a lot of programming that followed in public radio, but you and your colleagues weren’t creating ATC out of thin air. What did you see as models for the mission statement and ATC? It is important to consider the historical context out of which this came. Certainly my experiences in Buffalo informed that statement. I experienced the riots in 1968 there firsthand. One of our staff members was injured in a demonstration and sent to the hospital. I was chased by police with tear gas. This wasn’t some theoretical thing — it was a very deeply felt experience. I saw terrible divisions between blacks and whites. After Martin Luther King was killed, and after the riots — that was when you began to split the schedule at WBFO? Yes, I did a porch-to-porch survey. I came from Madison, Wis., a very homogenous place at that time, to Buffalo, which is like a miniature New York City, with strong ethnic neighborhoods. I was keenly aware of this sharp division, and that’s why the first summer I was there I just walked through the black community and talked to people about what they would like on radio. We went through a process before we got to this storefront center. It was what the commercial people were not doing — it was their omission that became our commission, if you will, or our mission. There wasn’t much understanding of the Vietnam protestors. We had a major demonstration in Buffalo just as I was writing the mission statement. The police were tear-gassing our building, the student union, and the media were reporting on the damage to buildings and to their own news cruisers. That’s how they would report the riots. It was the damage to storefronts, not “What are the key issues here? Why are people in the street?” Martin Luther King said “We write our essays in the street,” and they were really forced to do that. I covered Saul Alinksy’s organization, a grassroots advocacy group. They would make a presentation about a problem with the schools, and they had maybe a prepared statement that would take 2 1/2, 3 minutes. The TV cameras would go off, and the TV guys would say, “Well, we can only use about 45 seconds of this. You wanna do this again?” The problem had been in the making for 300 years. Maybe it takes three minutes to talk about a problem! I also did a series of programs with the Iroquois Confederacy called Nation Within a Nation. The Tuscarora Reservation was in Niagara Falls, and I did a series of interviews with them — again, another group that was misunderstood, or not thought of at all. Whites used the name of Iroquois for a beer, but what about the culture? What are their issues? What are their concerns? So I had this strong interest from the very beginning in trying to hear the diversity that’s in a community. Getting back to the models for ATC, some people have accused me of stealing from the CBC’s As It Happens, because that was also a 90-minute program, and it had a woman host, Barbara Frum. But that was a call-out program. It was not news reporting. They would talk to newsmakers. Well, that’s fine, but that’s about the end of the similarity. So I don’t feel I was borrowing from that. But there were a number of other public stations that were doing similar magazine-format programs, like Kaleidoscope at WAMU with Susan Stamberg. How quickly did Susan Stamberg loosen up to the extent that she could start laughing on the air? Gee, I think she did from the beginning. Susan has always been Susan, and that’s one of her charms — she’s the same on mic as off-mic. I really think that she exemplified the spirit of NPR, this insatiable curiosity. It came through in her voice, her questions. “Tell me more.” She was the surrogate for the listener, asking their questions. And she has a strong air presence. You pay attention when she comes on. [Siemering perks up.] You automatically think, “Well, this’ll be interesting.” She kind of pulls you in. How long was it before these crowds of station managers became less hostile? Even in the fall of 1971, I remember the manager of WETA coming into my office very seriously and saying, “You know, Bill, if this doesn’t improve, we’re going to have to drop it. It’s an embarrassment for us.” I was confident it would get better, because on any given program there might be a really fine piece, and you would just say, “Damn, that’s good.” And then it would just fall to the bottom with some snafu. Wasn’t your staff a tiny fraction of its size now? Yes. The entire programming staff was around 20 when we started. One of the principles was to use the stations to feed the network as well as distribute the programs, to let the country hear itself. And a lot of stations weren’t up to speed to produce good, quality material. I overestimated what they could do. Sometimes the cupboard was bare. We’ve heard of some feats of championship ad-libbing to fill out the programs. I think we probably had some of those with Susan. She and Mike Waters danced one night to fill out the time. In the beginning, we were really not political radicals. But we were radicals for the medium of radio. The very first program was on May Day, the largest antiwar demonstration in Washington, D.C., and 5,000 people were arrested that day. We did a same-day documentary, about 25 minutes. And the tape wasn’t in the control room when we started the program. We wanted it to have multiple perspectives. It came out in part from my experience and Mike Waters’ experience with covering the riots in Buffalo. There wasn’t a single truth — there were multiple perspectives of the event, and that’s really what we were trying to present in that program. I still think it stands strong as probably one of the best documentaries of same-day events. How did you get into the international work you’ve been doing with the Open Society Institute? I was asked to go over to South Africa in May of 1993. A group of journalists were anticipating the new government. The elections had been set for 1994, and they wanted to be able to make the transition from state broadcasting to public-service broadcasting with the South African Broadcasting Corp., for one. And so the very first institution to change there was the board of directors of the SABC, and these journalists wanted to learn about public radio and how it works here. Parallel to that and part of the liberation struggle was the idea of community radio, and how it would work on a local level. So I talked to groups about those two different strands. That was my first experience overseas doing this kind of work. Later that year, Open Society Institute started a foundation there, and I asked the director if he was making radio a priority. He said yes, and I said maybe I could be of assistance. So I helped set up the guidelines for the foundation and their support for radio. Meanwhile I’d gone over to Slovakia to work for OSI on radio, so one thing led to another. And what had you been doing just prior to that? I’d been with Soundprint, and then I was just kind of casting about a little bit. And when I came back from my first trip to South Africa, I realized there was all kinds of follow-up work that needed to be done, and there really wasn’t anyone to pay me to do that at the time. I could get paid when I was overseas, but not back here doing follow-up stuff. Coincidentally, I got a fellowship from the MacArthur Foundation, and that allowed me to do the follow-up stuff in between times. Since 1998, I’ve been on the full-time staff of OSI. We have a staff of about eight in Budapest, and there’s someone doing training, someone doing Roma media, another doing legal issues, others dealing with other kinds of direct assistance, and so on. I’m not exclusively working in radio, but I’m the one with the radio background in the team. Do you work much with newspapers? It depends on the country. Generally not as much, simply because in the countries where we work, radio is the primary medium for various reasons. It’s a matter of geography in Mongolia, where they’re isolated, or it’s a matter of literacy, or the people not having enough money to buy newspapers, as in the Ukraine. There’s a great need for legal structures — the protection of journalists from libel, defining libel and defamation, so in some cases we do work with newspapers as well. How much do you think OSI has spent on media and given to stations overseas? I don’t think there’s any way of adding all that up. There are over 29 foundations. They don’t all support stations. Each has its own local board of directors for that country, so all the decisions are made locally. In some cases the local media coordinator may say, “Gee, we have a need that’s beyond our local foundation.” So that’s when our program comes in. It’s a network of the national foundations. That’s why we call it the Network Media Program. We come in and say, OK, we could help with this. In Moldova, we’re not supporting any radio, but I happen to be working with the media there. We support a couple of economic news agencies there. There are business and economic publications there — it’s one way that they do investigative reporting on corruption, because the main press is not doing that. They’re in the hands of oligarchs or political parties. There’s often media pluralism but not independence in some of these countries, and that’s an important distinction. So even in Ukraine, which has nearly 50 million people, there’s really no national daily newspaper that’s independent of a party or an oligarch. There are some weekly papers that are quite feisty and independent, but they’re not national. Are any of the stations so dependent on OSI money that they wouldn’t exist without it? It varies so much from place to place, it’s hard to generalize. In South Africa we gave grants for planning and development, equipment, training and some programming and production grants, but not ongoing operating costs. So we didn’t get them dependent upon a donor. If you pull out, nobody’s going to go off the air? The grant for a news agency in Moldova is going to decline, but it’s enabling them to exist right now. It’s really a case-by-case situation. In South Africa, the stations are serving the poorest of the poor, and there’s no government support. In the earliest days, public radio in this country was a feeble institution, evolving from state universities. Was it that much ahead of what’s happening in these other countries now? Oh yes. At the University of Wisconsin, WHA was doing in-school broadcasts — that’s where a lot of the money came from. 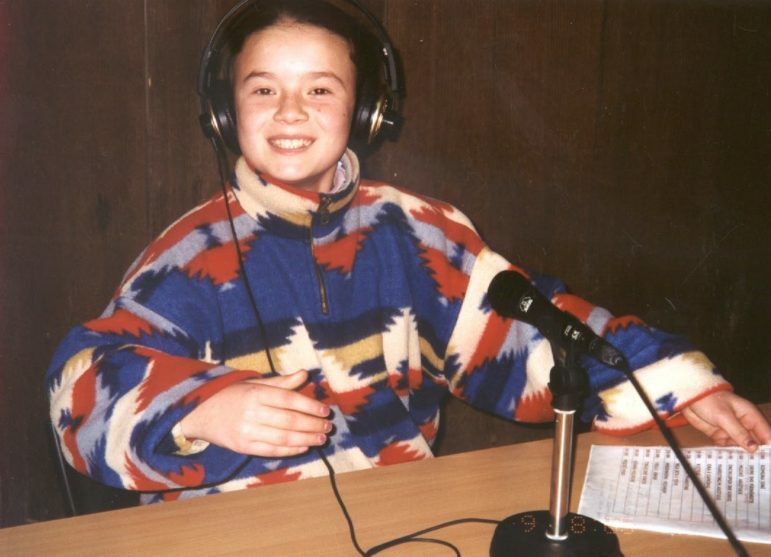 I went to a two-room country school, and it was my first exposure to radio. I heard music and art classes, nature programs, social studies, science, and they were all done at WHA. I grew up outside of Madison, almost within the shadow of the WHA transmitter. WHA came in on our telephone lines. It has probably somehow seeped into me radioactively and has made me such a radio advocate. So what are the chances of survival for these stations in other countries that don’t have a CPB, and that don’t have much advertising, underwriting support or a well-heeled audience? In South Africa they’ve done it with advertising, and they’re allowed to. When the licensing authority was established in 1994 — almost at the same time as the election — the first priority was to license community radio stations because it was thought they would best serve the interests of democracy. There weren’t any licenses granted to private stations the first year, which made them furious, of course. It was a strong statement. It was part of the liberation struggle. So these stations were required to have an annual general meeting of the community to elect the board of directors of the station. And the board would have to have an active role in the management and programming of the station — which was going a little far for my tastes. 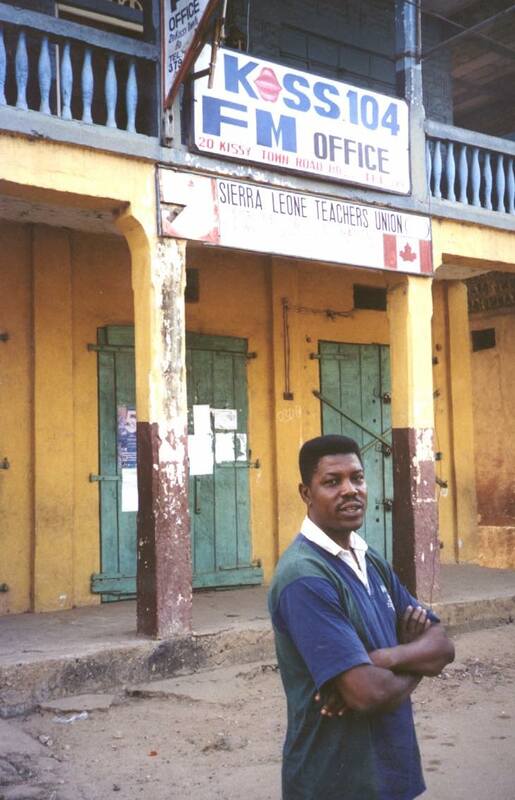 When I went there in 1993, some of those interested in community radio said everyone has a right to be on the radio. The stations would give a voice to the voiceless. So while I heard this rhetoric about “Just put a microphone up on the street, and let anyone say what they want,” I said that listeners have a right to expect something worth listening to on the radio. You’re asking them for their time, you ought to give them something worthwhile. And the stations really understood that. When they went on the air, they quickly heard from listeners saying “You know, this presenter isn’t very good” or “We want more in our language.” The listeners were very vocal in their feedback, because it was a community station, and they thought they ought to have something to say about it. So the stations quickly moved away from the free-speech idea, if any of them had it in the first place. In South Africa, they’ve been able to cover their costs because they have national advertising from the chains and Coca-Cola. There are enough small businesses that will advertise. In Soweto, a pizza shop had such effective advertising on Soweto Community Radio that they opened up branch shops. So it’s helping local business. The stations are nonprofit but can accept commercials. That’s South Africa. In Mongolia, where there’s a sparse population and a very poor economy, we’re still working on the economics. Last November I visited one station we were helping support with equipment. Their expenses for the first eight months were $987. I told them about ways of raising money, including corporate underwriting. So they got the electric company to underwrite the electricity, and the telephone company to underwrite that. The station is located in a Soviet-style apartment building, and the apartment association was also an underwriter. I asked what the station was getting in exchange for underwriting, and the manager said, “For that, we broadcast the names of tenants who are behind in their rent!” I thought, well, that’s a creative solution to the problem! And it was working. They were getting better returns and more people were paying their rent. Has anyone taken you up on that idea of sister stations? So I think there are wonderful possibilities for that, and I think it’s an extraordinary opportunity to know another culture in a personal way. This could be another defining element of public radio. For most of us Americans, trying to get our minds around the whole world is beyond our abilities. Do you think this sister-station idea is like a useful window where you can see a narrower part of the world? It was 40 years ago that McLuhan talked about a global village, and, for the most part, it’s bunkum. We really don’t hear about life in another country. We hear when there’s some natural disaster, or there’s been an insurrection, or a coup, or something like that. But we usually don’t know about life there. And because radio is a personal medium, I think there’s potential. I have the same problem that you have — how can you keep up with all these things in the world? I can’t follow Latin America closely. I have enough to follow in the countries I go to. You’ve only got two or three continents to worry about. In Mongolia, their lunar New Year, which comes in February, is called Tsagaan Sar, and the main idea is to go around and visit the elders and visit your family. You clean everything up in your home and get ready for the New Year. You cook up steamed dumplings with mutton in them. People in apartments store the dumplings on the outside balconies — it’s always below zero anyway. And then they go calling. There’s this custom where the younger person holds out their forearms, and the older person rests theirs on top, and they say, “Are you at peace?” The idea is that the young are supporting the older person. That’s a wonderful custom. It’d be nice for the listeners in this country to share things like that, and the holiday food. Or, they’ve had a terrible winter there — how did they get through it? What is it like to be a nomad, herding camels in the Gobi Desert when it’s 20 below, and there’s not enough food for the animals? These would be compelling human stories. They have nothing to do with politics, but I think listeners could connect with them. Do your travels ever make you want to haul a recorder around and report for radio? Perhaps that would be a conflict of interest with your work. It’s too hard to do both at the same time. But I’m aware of those stories. It would be good if we could train the people there to do them and find somebody who can translate them into English, so it could be sent as an audio file over here. In the countries where you’ve worked, has the British or American experience in public service broadcasting been instructive or pertinent? All these countries have state broadcasting. They all give lip service to making a transition from state to public service, so they could all be like the BBC, theoretically. But there’s both human reluctance to change and a lack of real political will to establish a truly independent board of governors for the operation, and then to find the financing for it. How many of these countries have actually witnessed a free press and gotten even a clue of what the principles are? The Czech Republic, Poland, Hungary and many others have independent newspapers and independent private radio, but most private radio plays Western music. Even in Mongolia and Budapest, it’s the same thing. Dial across the band, and you think you’re in America until you hear the back announce and you don’t understand what they’re saying. I was just in the Ukraine, where they were saying there’s no hope for the state to transform itself, and they are disappointed by private media. So they say there’s a need for a third way, public service radio. It’s a similar idea in Mongolia. They want stations that are independent, mission-driven, and get money from community sponsorship. They want them to be nonprofits, because those can’t be taken over by an oligarch or a special interest. In Kosovo, there’s a very healthy radio sector. They did an excellent job covering the elections, with a lot of pressure from the international community to provide good election coverage. There was a lot of education about election coverage — how you do radio journalism for elections, giving equal time to candidates and that kind of thing. But they have more to talk about besides playing pop music or hit radio. What do you face as you try to instill journalistic ethics? Sometimes advanced technologies and institutions from more-developed societies are being plunked into these less-developed countries. Doesn’t that cause anomalies? I don’t really impose an American system on these countries. For example, at one station in Mongolia I told them about listener support and contributions. I said it might seem like a crazy idea and it might not work. And they actually tried it, and it didn’t work. It’s a new concept, and it doesn’t make sense. But they do take contributions for greetings and dedications. At that particular station, when people leave the hospital, they call in a thank-you to the medical staff for their care, and that pays the station’s phone bill or electricity for the month. That is one of the challenges. How do you find the appropriate structure for the new tech? And a clever way of doing it? You said one of the stations in South Africa declared its mission was to foster the health of the community. That’s impressively direct. They went on the air once or twice a week and literally moved the broadcasting equipment out from underneath the examining table. So it was natural for them to then expand that idea and think about the overall cultural health of the community, its educational health. This was Radio Zibonele in Khayelitsha near Cape Town, and it’s one of the most-listened-to stations. They don’t talk about health all the time. Their underlying values include environmental health. They say, “Okay, let’s clean up the trash.” It’s a very grassroots, do-it-yourself station. You’re not in a media vacuum as you help community radio take root in these countries. For every project you shepherd, aren’t many others trying to establish media for maximum profit? In some. However, in Ukraine, for example, I was told that none of the media are there working for profit, but for influence on society, to influence the authorities and the legislation. In Mongolia, and in most other countries, there’s a for-profit side, and that’s all they care about, and that’s why there’s this information vacuum, particularly in these countries. They need to know how to start a small business. How does a market economy work? How does the government work? Basic things. How do you vote, or why? So there’s an incredible information vacuum that needs to be filled, and that’s what these stations we’re working with are trying to do. Did you have to work through preconceived notions about the places you started visiting? My first trip overseas was in 1991. I had never been overseas before. I consider it a real gift to go to these countries, and to experience life differently, to see the world through different perspectives. I’m the one who’s learning — so much more than they are, learning about the countries and their histories. Mongolia has influenced me the most in my own personal way of looking at the world. It may be a Buddhist quality. It may be Mongolian. They let things unfold as they will. You might go in there and expect everything to fit into a steel template, but it doesn’t work that way. Part of their philosophy might be fate, or destiny. They believe that everything’s happening for a reason. I was with an American there, and we were wrestling with some problem, saying, “Oh, what a mess this is.” And a Mongolian came over and said, “What’s the matter?” And we said we had this big problem, and she says, “Well, it’s a wonderful opportunity to learn something, isn’t it?” And we said, “Oh, okay.” That just kind of turned it all around. So that’s the way they look at things: what can we learn from this situation? It means that whatever you’re doing, you ought to be doing at that time. Like, we should be having this conversation. And somehow it all works out. You trust this. I told Glenn Holsten from WHYY, who was going over to lead some video training, that you just have to trust things. It won’t go the way you think it’s going to go, but you just have to trust that it’ll all work out. I was stranded down in the Gobi, and I was supposed to come back on a Friday, and then leave the country for Beijing on Saturday. And the winds were too strong for the plane to land, so I couldn’t leave. Ordinarily, I and most Westerners would say, “Oh my God, why the hell am I stuck here? Let me get out of here!” But I just smiled and said, it’s going to be fine. It’s going to work out for the better. And it did, because I was able to meet with people I couldn’t have otherwise. Everything just worked out fine. The people I work with overseas are doing a lot with very little. They wrestle with some of the toughest issues imaginable — peace and reconciliation, massive corruption, poor economies, building a democracy and a market economy at the same time. They have sharp minds and generous spirits. They’ve often never had local radio before. Most are in their 20s and early 30s and have innovative ideas. The media they are working with are making a significant difference in people’s lives. They’re helping to create a civil society and strengthening the country in some small ways. For me, it’s professionally challenging. It’s the most enjoyable work I’ve ever had.